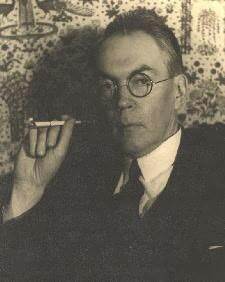 James Branch Cabell's aristocratic, whimsical, profane fantasies were a succes de scandal in the 1920s; his most famous book Jurgen was the subject of a famous obscenity trial. Jurgen is a medieval pawnbroker who as a result of ill-judged witticisms in praise of the devil "who labours hard in his vocation, which can be said of few pawnbrokers and no friars", finds himself obliged to search the kingdom of Poicstesme, various magic realms, Heaven and Hell for his abducted wife, "a woman with no especial gift for silence". Cabell's inventive witticisms, sardonic irreverence and habit of the gently bawdy carry this off with panache. The same formula applies to various other novels in the Poictesme sequence, notably Figures of Earth, the story of how that realm's great emperor Manuel rose from humble origins to make a fine figure for himself in the world, and The Silver Stallion in which various of Manuel's paladins suffer ironic final fates--one of them for example being mistakenly assigned to a pagan heaven and gradually getting assimilated into its pantheon. Other books like The High Place or Something about Eve set characters in a decadent 18th Century France, or an entirely dream world, and confront them with similar entertaining ironies. "I find here - in his finest, his purest, and his most romantic vein - the finest living writer of pure fantasy."